At SIGGRAPH 2018 today StarVR has officially launched their new StarVR One headset offering an upgrade to the previously launched StarVR headsets. Now offering eye tracking thanks to seamless integrated with Tobii eye tracking technology together with support for SteamVR Tracking 2.0 and more. Equipped with proprietary AMOLED displays offering a resolution of 1,830 × 1,464 each (3,660 × 1,464 across both eyes), the StarVR One headset is equipped with custom-designed Fresnel lenses to offer a full RGB per pixel arrangement optimised for virtual reality environments. Providing 210 degree horizontal FOV and 130 degree vertical FOV with natural peripheral vision in VR for truly immersive experiences, StarVR. The features include automatic IPD measurement and distortion adjustments and dynamic foveated rendering. Check out the video below to learn more about the latest virtual reality headset from StarVR. There are a few questions that need answering regards the headsets total resolution as it seems as a downgrade when compared to the previous StarVR headset. 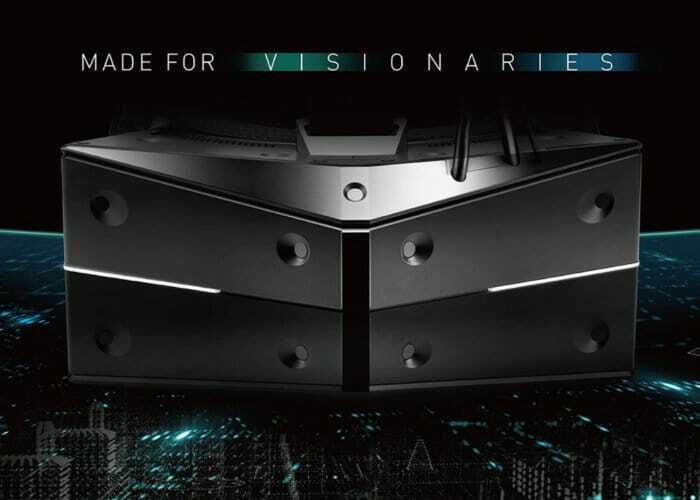 For more information and full specifications jump over to the official StarVR website by following the link below and the Road to VR website for more details on the resolution discrepancy.